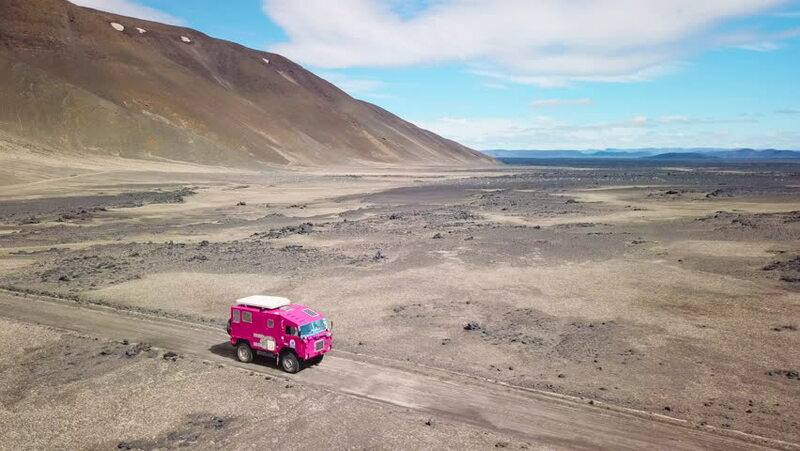 4k00:35ICELAND - CIRCA 2018 - Aerial of a rare pink Land Rover 101 driving through the outback highlands of desolate Iceland. hd00:30WADI RUM DESERT, JORDAN CIRCA DECEMBER 5, 2017: - Enduro Professional racer in motorcycle protective gear riding dirt bike. Racers on motorcycles during competition, extreme sports off road.